If you’re visiting Key West, there’s a wealth of food that you just don’t see regularly off the island. From a bounty of freshly caught seafood to the sweet and tart key lime pie, here’s a guide to the best of Key West’s local foods. 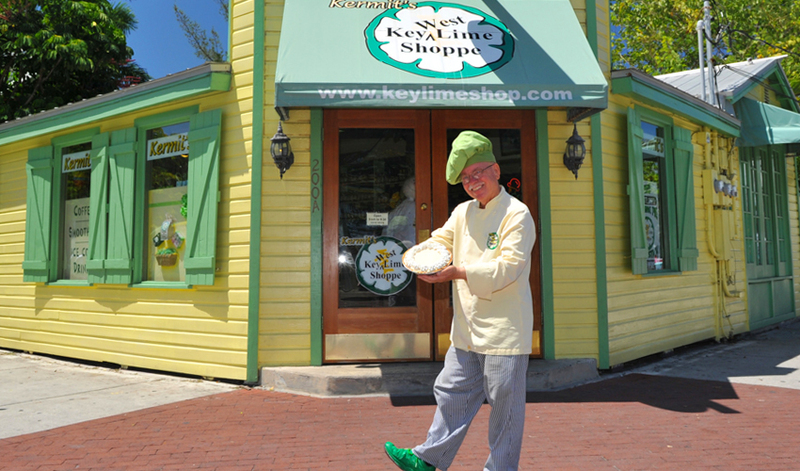 Perhaps no food is more strongly tied to Key West than key lime pie. While key limes are no longer widely harvested in Florida, the key lime pie lives on in the Florida Keys, where bakers source the bittersweet, highly acidic citrus fruit from Mexico or the West Indies. Look for the tart-creamy pie on dessert menus across the island and inquire about whether a pastry chef is onsite to gauge the freshness and authenticity of the pie they’re slinging. We can vouch for Blue Heaven where it’s baked fresh daily and topped with mile-high meringue. For key lime pie on the go, swing by Kermit’s for every variety under the sun, including frozen on a stick and dipped in chocolate. It’s divine! Conch fritters are another Key West delicacy. Made from the tough, meaty mollusk found inside the beautiful pink, spiraling conch shells that you see in souvenir stores, they’re plucked from the ocean floor throughout the Keys. They’re actually protected in the state of Florida now, so all the conch you consume in Key West is either farmed or from the Bahamas. It’s best enjoyed fried up like hush puppies in fritter form and can be found on bar menus throughout the island. We’re big fans of the conch fritters at the Conch Republic Seafood Company at the Historic Seaport and from the stand at Mallory Square during the Sunset Celebration. This is another classic way to enjoy conch in Key West. Typically prepared in a spicy tomato broth with potatoes and vegetables, conch chowder is a comforting staple. Just like the fritters, we enjoy a bowl of conch chowder at the Conch Republic Seafood Company. Key West is only 90 miles from Cuba, as it’s famously displayed on the Southernmost Buoy—that’s closer than mainland Miami. The Cuban – Key West connection runs deep, making the island home to some of the most authentic Cuban food this side of Havana. At El Meson de Pepe, you can enjoy this savory, hearty fare in a beautiful setting on Mallory Square. 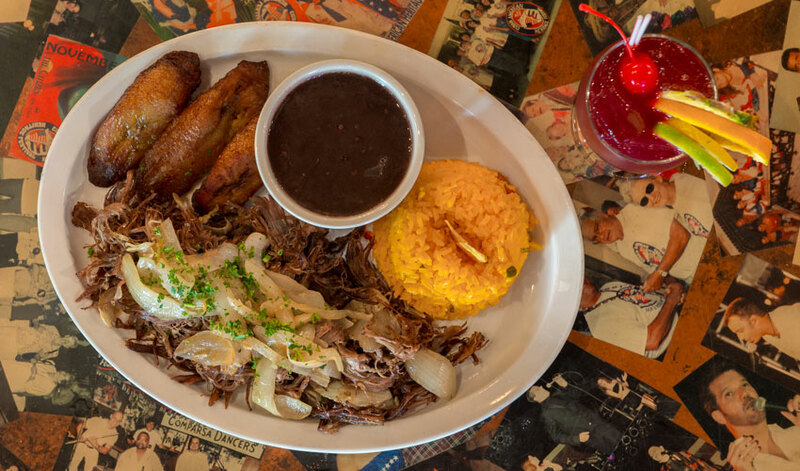 From ropa vieja (stewed shredded beef) to camarones al ajillo (sautéed garlic shrimp) all served with yellow rice, black beans, and sweet plantains, it’s a cuisine that’s hard to resist. Of course, the classic Cuban mix sandwich is also a favorite: sugar glazed ham, roast pork, Swiss cheese, pickles, and mustard pressed on crusty Cuban bread. And don’t forget a strong and sweet café con leche for an extra kick. While coconut water might be all the rage amongst fitness fanatics around the country as a naturally nutrient-rich way to hydrate, we’ve been cracking coconuts in Key West and sticking straws in them for years. The mildly sweet water is an acquired taste for some and absolutely addictive for others. Grab a fresh coconut from the Southernmost Deli & Grocery near Simonton Street or buy the water pre-bottled from the health café Help Yourself. When you’re talking about local food in Key West, you’re invariably talking about freshly caught local fish, and one of the best ways to enjoy the fruits of the sea is on a sandwich. We’re talking grouper, mahi, snapper and sometimes even conch, grilled, blackened or fried with a squeeze of lemon sandwiched between a toasty roll, maybe with a smear of tartar sauce. Delicious! BO’s Fish Wagon is the classic destination for a fish sandwich and we’re also big fans of Pepe’s just across the street. While we’re talking seafood, let’s move onto Key West pinks, shrimp caught locally in the waters offshore Key West. 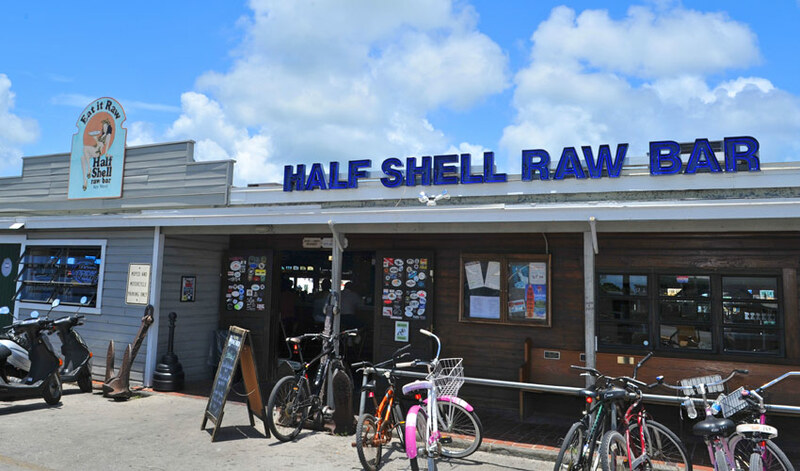 Whether they’re served as peel ‘n eats and steamed by the bucketful at places like Alonzo’s or Half Shell Raw Bar, or prepared in a savory club sandwich with bacon and Swiss cheese-like at Jack Flats, these delicious crustaceans are must eats while in Key West. And that brings us to the mack daddy of all local Key West seafood, the spiny lobster. Different from the varieties you find in Maine, the Key West spiny lobster has antennas instead of claws, but their tails are just as delicious and slightly sweeter than their northern counterpart. You’ll find them served classically with drawn butter or as one half of a surf ‘n turf entrée on fine dining menus throughout the island. Blue Heaven makes use of them at brunch time with a decadent lobster eggs benedict that’s definitely worth the splurge. While Key West is certainly a drinking town with many beverages associated with it (margaritas, mojitos, piña coladas, martinis, beer, rum punch, the list goes on and on…), you can actually taste the first legally distilled rum produced on the island, created by chef Paul Menta onsite at his distillery. The rum is found on cocktail menus throughout the island and you can buy it by the bottle to bring a taste of Key West home with you.